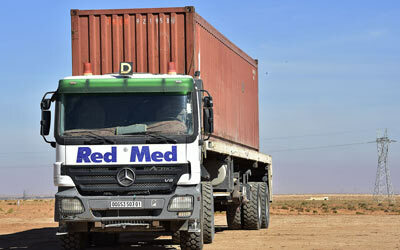 As a logistics provider, RedMed Group has invested in upgrading the logistical infrastructure to reduce costs and establish its know-how to help its partners fulfil their projects, such as the opening of runways for aerodromes, the installation of mobile camps, and the relocation of petroleum projects. 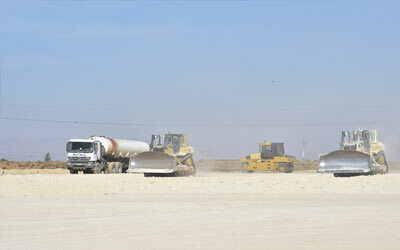 Civil engineering units prepare the ground to make bases accessible and operational. 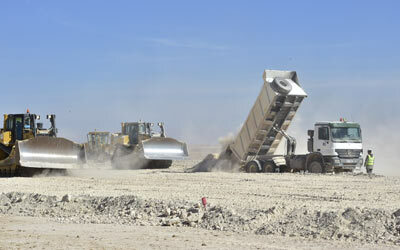 With their substantial resources, the technical civil engineering structures meet the needs of construction, development, and reinforcement in remote areas. 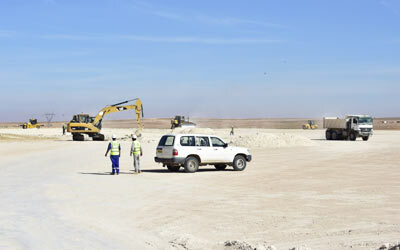 The range of activities includes opening runways and roads, building aerodromes, excavation and foundation work for drilling rigs, building access roads for seismic work and industrial areas. The fleet of civil engineering machines includes latest generation equipment to cope with long distances and Saharan relief hardships. 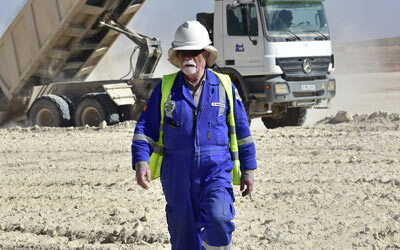 In the field of civil engineering, we are devoting huge resources. 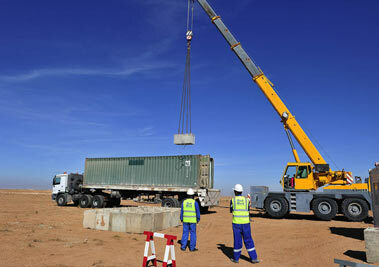 Our Group has completed several projects, such as building tracks and monitoring the building of aircraft hangars. 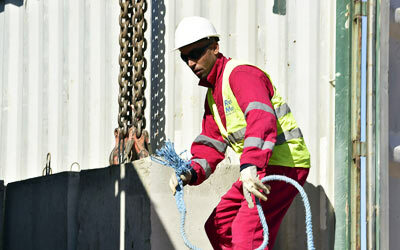 We are involved in the construction of major infrastructure, such as industrial areas in various regions of the country.